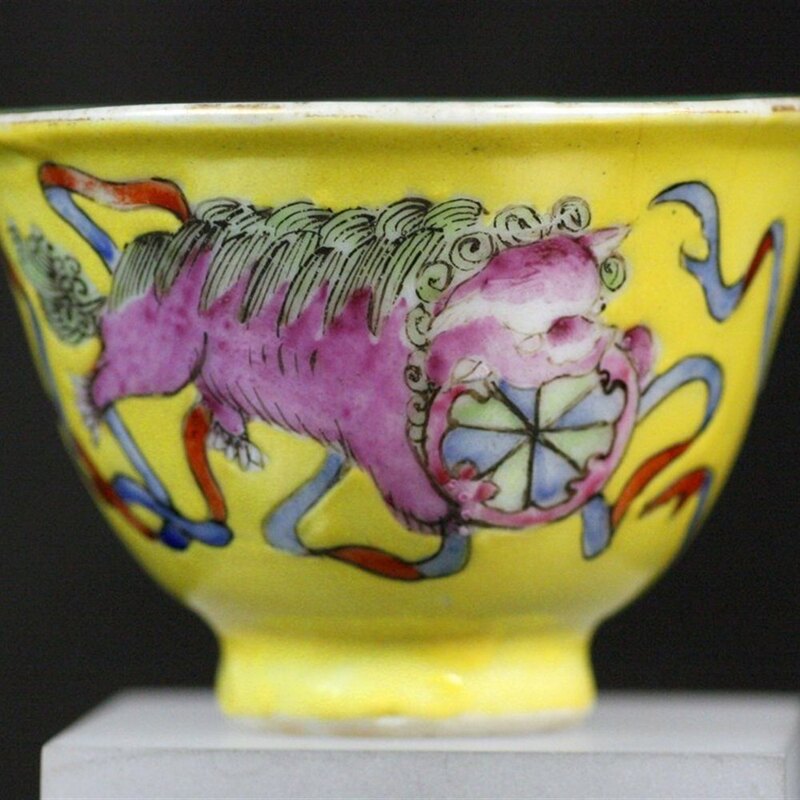 An unusual antique Chinese tea bowl with two playful lion dogs with balls and ribbons painted within a yellow ground and dating from the 19th Century. 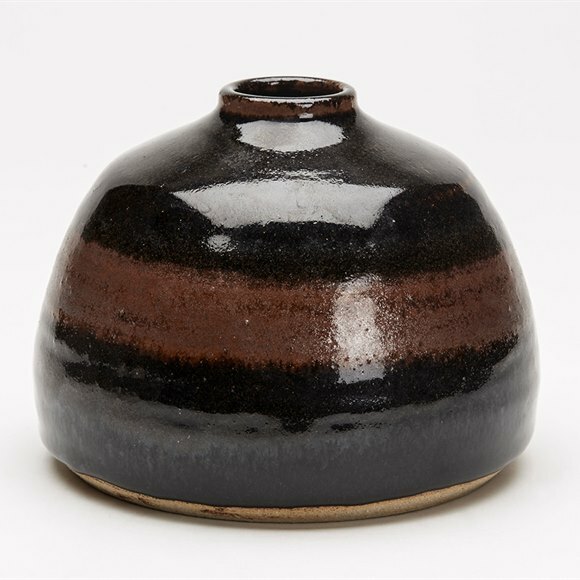 The small rounded porcelain tea bowl stands on a narrow rounded foot and has a slightly flared rim. The tea bowl is hand painted in coloured enamels with two small dogs of Fo playing with balls and ribbons and set against the yellow surround. The inside of the bowl is painted turquoise and the bowl has a red painted seal mark to the base.